OUT OF THE WOODS. 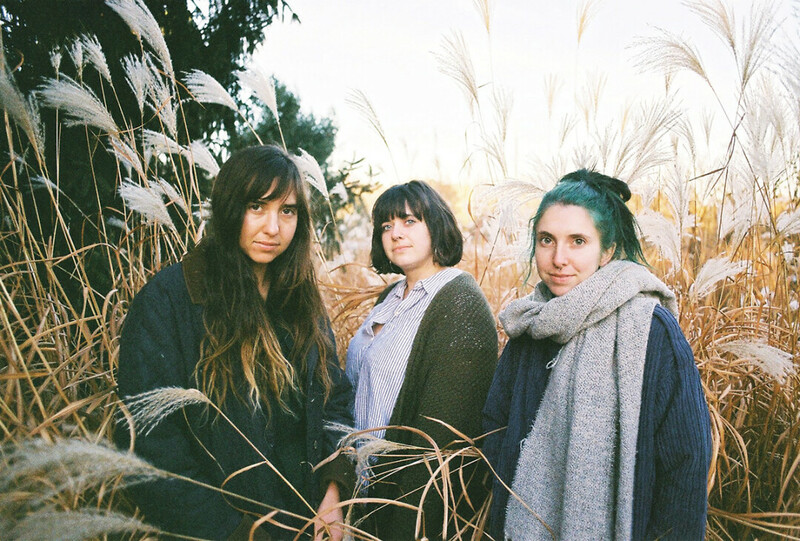 LASKA – aka sisters Bex, Hannah, and Mookie Morton – will release a new EP on March 22 called in the blossom. It’s a relatively calm snowy night out at Pine Hollow Studio just outside of Eau Claire, where the members of LASKA are meeting up to practice songs ahead of a Twin Cities show opening for the band SALES. The vibes are warm, there’s coffee bubbling in the corner, and plenty of laughter – but these days studio time and rehearsals like this are somewhat few and far between. The core of the band – the Morton sisters Bex, Mookie, and Hannah – are separated by city with Mookie and Hannah living in the Twin Cities. And with jack-of-all-trades Evan Middlesworth hopping around the world touring with The National here and there, sometimes the stars kinda have to align for them to get together. But when they do, it’s magical. “A lot of our studio time isn’t like rehearsal, it’s more like recording a bunch of stuff, looking for what works,” Mookie said. “We just explore songs and see what happens.” In studio they don’t rush. The band gives themselves time to throw a lot of creativity out there and see what vibes the best. They keep the parts worth keeping, incisively develop them, and shave away the rest. 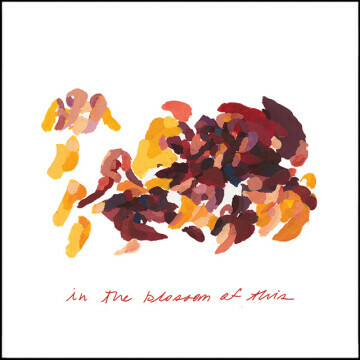 And now LASKA is set to release a new EP titled in the blossom of this on March 22. Lyrically, the five-song set navigates some heavy emotions – heartache, confusion, angst. But you grow from that stuff; there’s beauty in grappling life’s challenges and coming out the other side with a newfound strength. And sonically, the new EP finds LASKA stretching their wings a bit more too. Where previous records leaned into their polished folk pop roots, now the band is swimming upstream with electronic drum components, synths, and wild vocal effects. “I think it evolved a lot,” Hannah said. “Now we all have a lot more open-mindedness. We know that nothing’s permanent until we decide it’s permanent.” Bex echoed that sentiment, saying they have this gut feeling to branch out and try new things, and they don’t want to shy away from that anymore. “I think through time we’ve allowed ourselves to feed our intuition a little bit more,” she said. With even a cursory listen, the production is markedly more fresh and exciting. But it’s not busy. The core is still the same. All the flourishes of electronics and atmospherics build a compelling foundation, but it’s there to bolster the sisters’ voices and their trademark harmonies. But that sisterly connection actually goes deeper than vocal blend. A cool part of our conversation revolved around empathy. Each of the Morton sisters takes turns writing chunks of songs; you can hear it clearly. They’ll take different verses and join in on choruses, but the feeling has to coalesce. One of them will start writing about a big emotion, and then the others must empathize with that feeling and carry the torch for their part of the song. It’s cool to see it happen, whether it’s intentional or natural. All in all, there’s plenty to be excited about on blossom, even though it’s only five songs. But the band is already fleshing out a new full length with their precious time together – which will probably drop next year.